This past weekend I attended an entire symposium dedicated to SIBO, which stands for Small Intestinal Bacterial Overgrowth. This symposium was put on by the SIBO Center for Digestive Health at the National College of Natural Medicine in Portland, Oregon. I wasn’t lucky enough to be there in person, but attended the entire symposium via webinar. SIBO occurs when bacteria from the large intestine creep up into the small intestine. Because the small intestine is so narrow and the bacteria shouldn’t be there, it causes bloating, gas, and other digestive issues. It is UNCOMFORTABLE, to say the least. Dr. Mark Pimentel, an expert in this field, hypothesized that more than half of people with IBS have bacterial overgrowth. If you experience extreme bloating and gas, I highly suggest you get yourself to a gastroenterologist to be tested for SIBO. The practitioners at the symposium agreed that a lactulose breath test that measures both methane and hydrogen gas is the best way to measure SIBO. The treatment will depend on the results of the breath test. For more information about treatment, I recommend Dr. Allison Siebecker’s website: www.SIBOinfo.com. 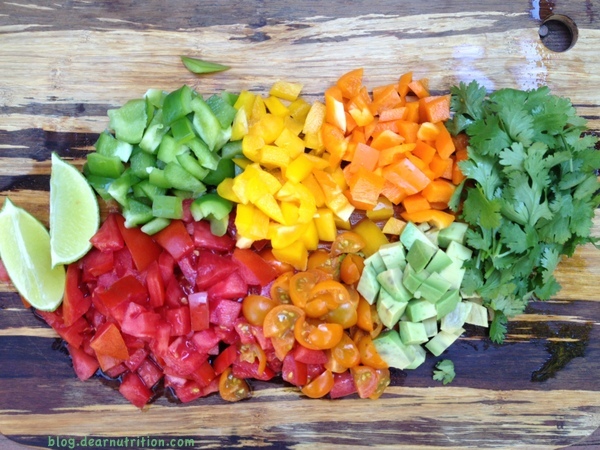 Diet is also important for SIBO and very individualized. 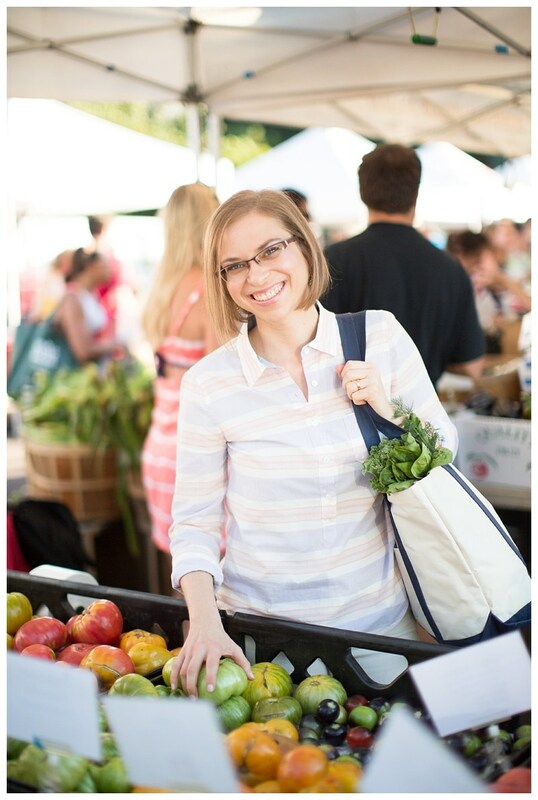 There are no clinical studies on diet and SIBO, but there are a few diets that work well to control symptoms: the low FODMAP diet, the specific carbohydrate diet (SCD), a combination of SCD and low FODMAP, and Dr. Pimentel’s Cedar Sinai Low Fermentability Diet. These diets all have conflicting advice, so it gets confusing. We certainly need more research in this area! If you do have SIBO, one important thing to remember is to space meals 4-5 hours apart to allow your body’s migrating motor complex (also called cleansing waves) to work. The cleansing waves occur in the small intestine every 90 minutes in between meals. Grazing during the day limits those cleansing waves. So remember that goûter I wrote about? If you have SIBO, you may want to skip the goûter, or have it in the late afternoon and eat a late dinner. For a more detailed report about the SIBO conference, check out the following terrific blog posts by Kate Scarlata, RD and Patsy Catsos, MS, RD. What in the world is a goûter? Goûter (pronounced goo-tey) is a French word that literally means “to taste.” In France, children get a small 4pm meal called a goûter. Here in the States we would call this a snack, but my French sister-in-law insists that it is a goûter, not a snack. 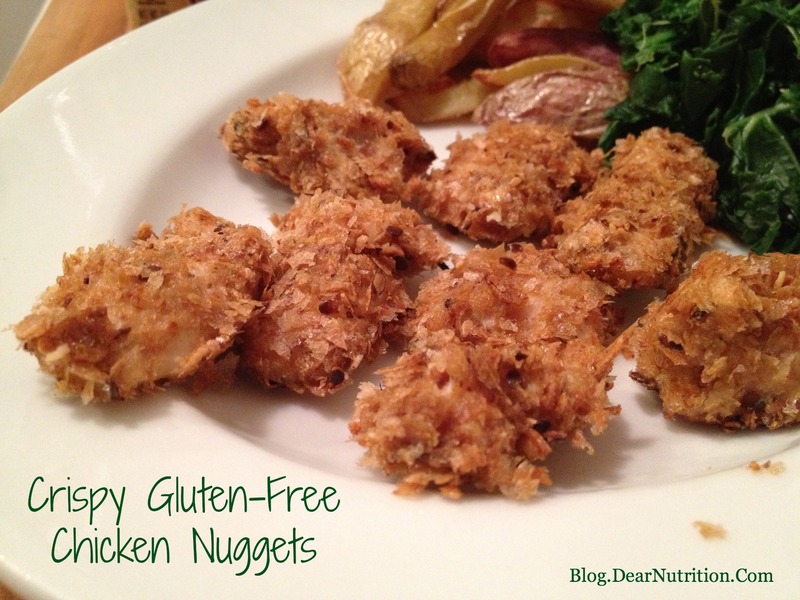 This is because it is considered just as important nutritionally as other meals. It has been very interesting to learn about the differences in each of our cultures food and eating patterns. When my nephew was born a year ago, my sister-in-law received a pamphlet about food and meal times. Written at the bottom it said, “No snacking.” In the States we encourage children and adults to snack, maybe even a little too much. I personally like the idea of an afternoon goûter for everyone (if you’re hungry that is). 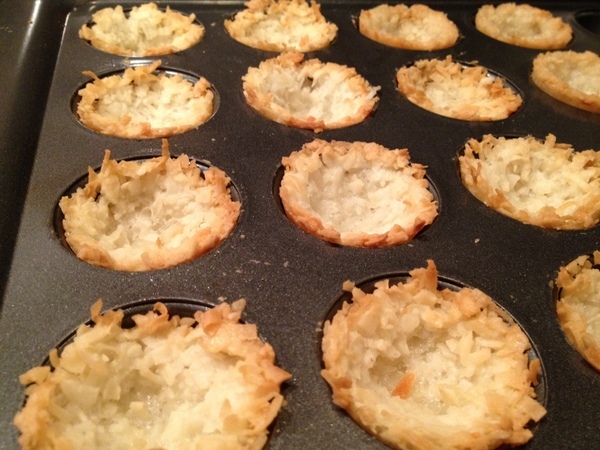 People often ask me what I recommend for a snack – what should a snack entail? How big should it be? To answer these questions I’m going to post a series of healthy nutritious FODMAP friendly snacks over the next few months. 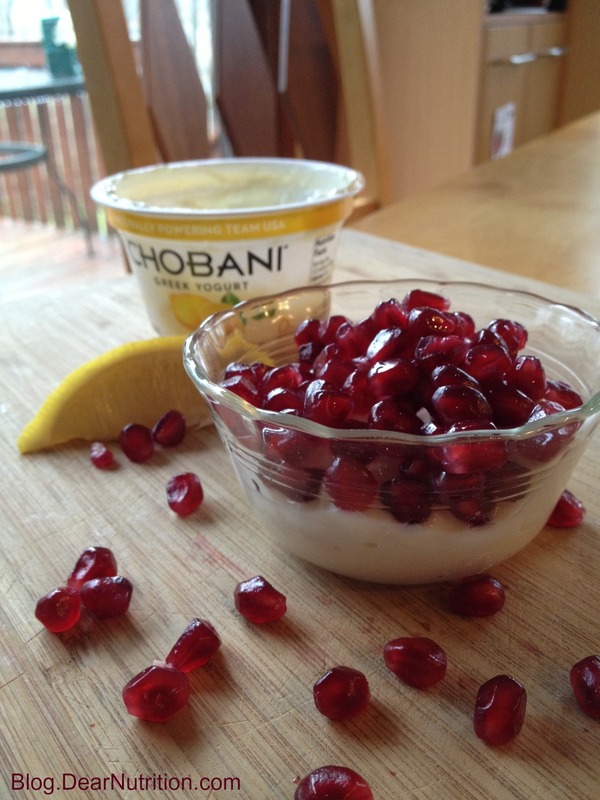 First up, Lemon Pomegranate Greek Yogurt. 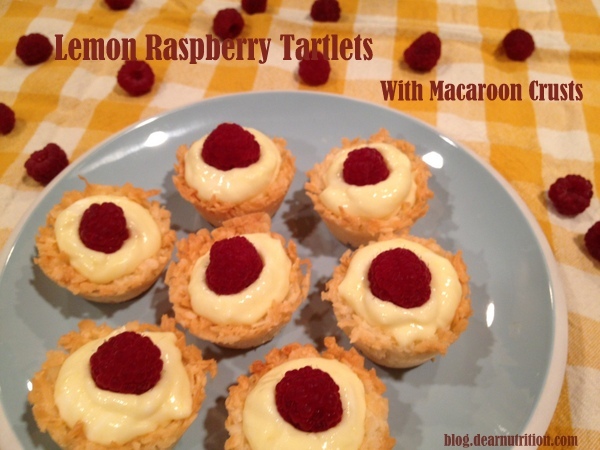 The sweetness of the pomegranate and tartness of the lemon go wonderfully together. I can’t seem to get enough of pomegranates this season. Snacks keep you fuller longer if they contain protein + fiber. Greek yogurt is packed with protein, and pomegranate seeds are one of the most fiber-rich fruits. 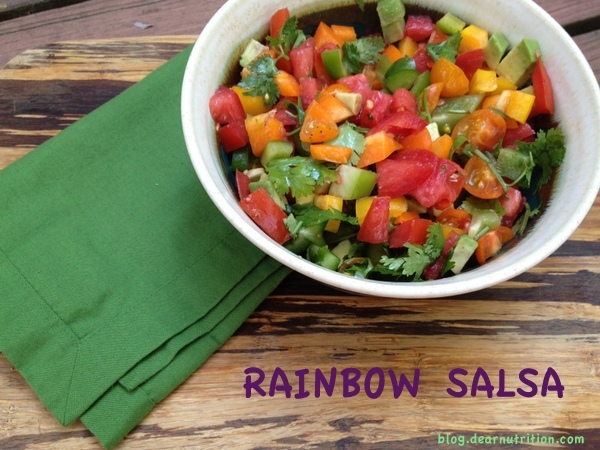 Add some chia seeds to this and you are good to go! Note: Four ounces of Greek yogurt is very low lactose, so considered FODMAP friendly. Instructions: Mix Greek yogurt with chia seeds. 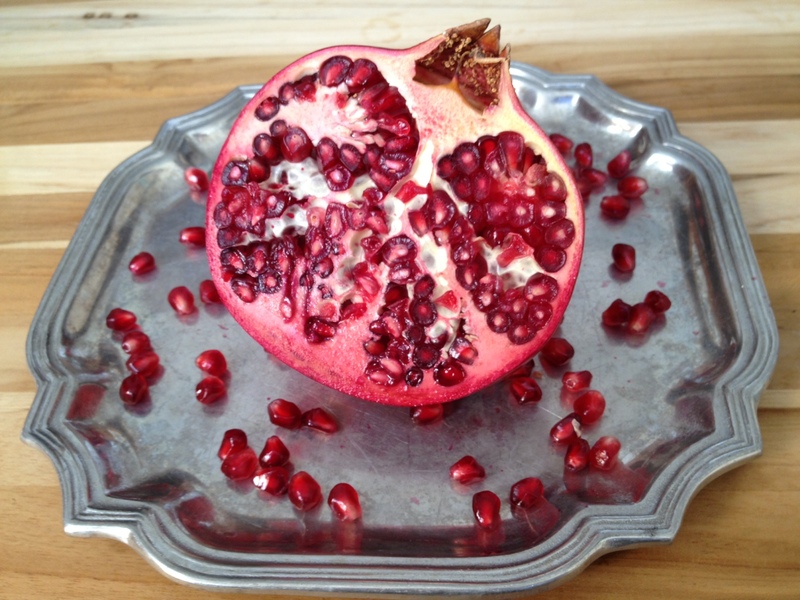 Top with pomegranate seeds and enjoy! 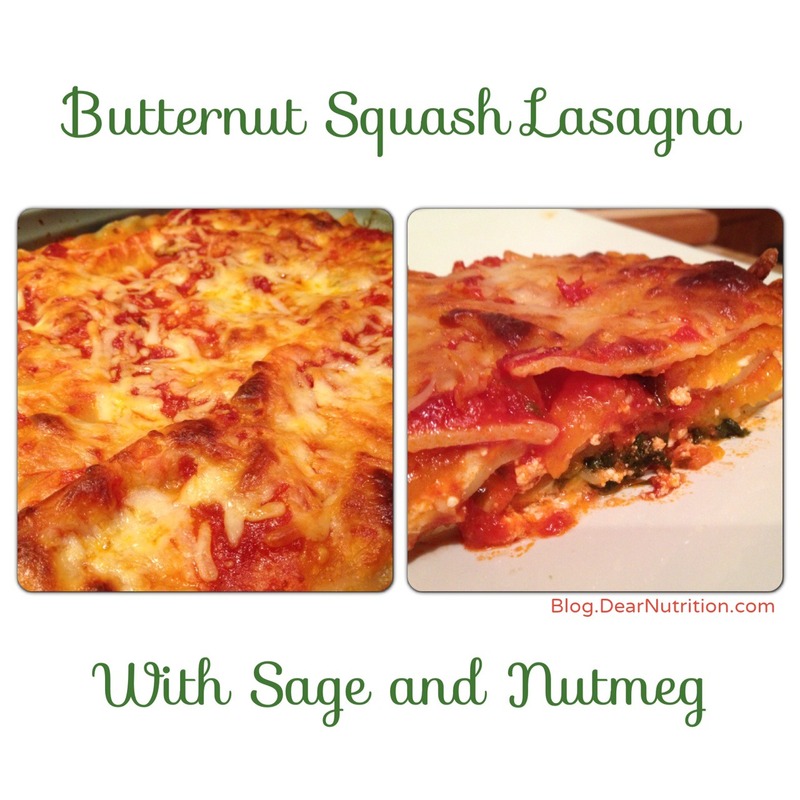 Lasagna is typically a FODMAP nightmare. It’s filled with ricotta (full of lactose), wheat noodles, and tomato sauce made with garlic and onions. This revamped lasagna recipe eliminates all of those FODMAP ingredients, but remains delicious and also nutritious. The nutmeg and sage pair well with the butternut squash and the spinach brightens it up at adds vitamins A & C, magnesium, and a little bit of iron. Also, it just so happens to be red and green, perfect for a Christmas celebration. The first step is to tackle the butternut squash (unless you bought an already peeled one). 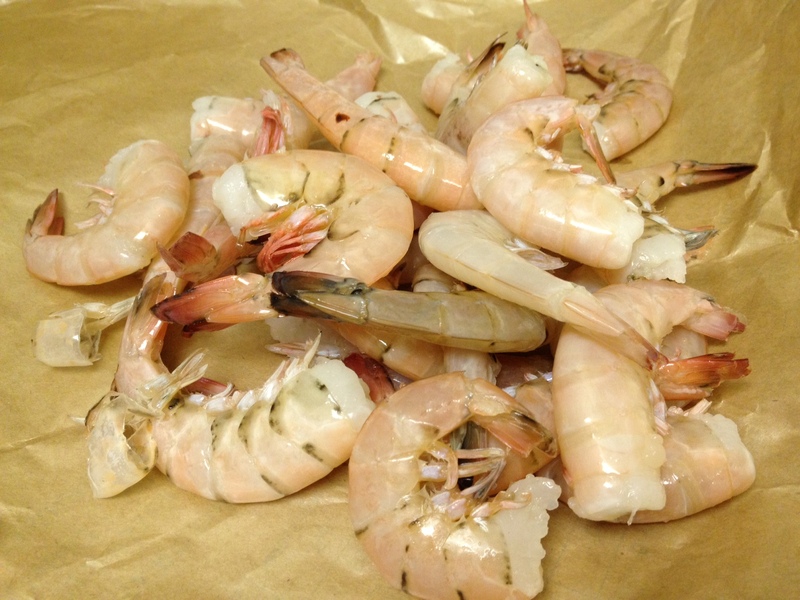 Cut it in half and peel off the thick skin with a knife. 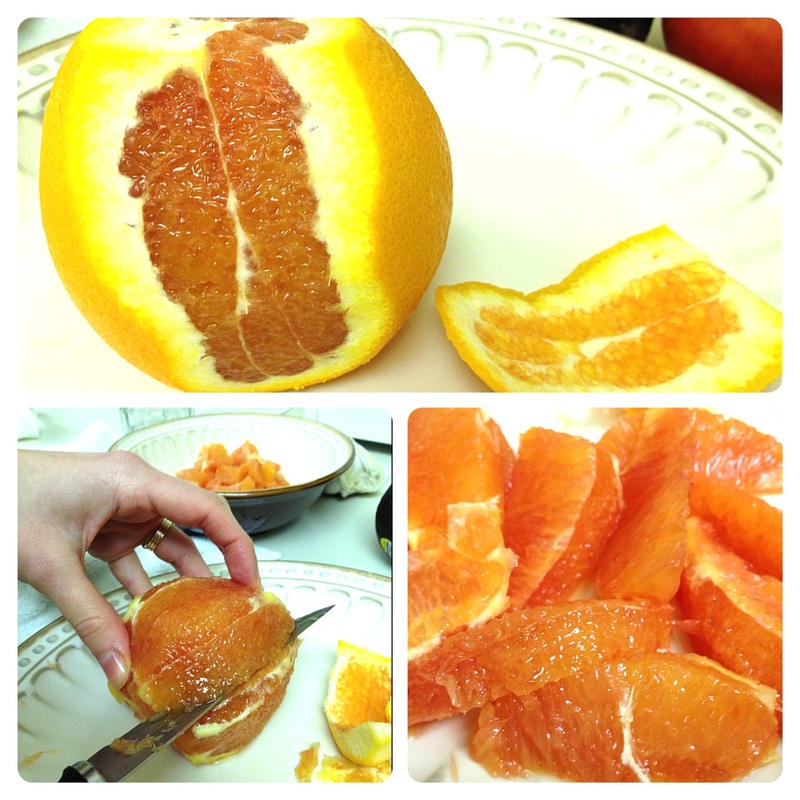 Scoop out the seeds, then cut into slices. Toss the slices with olive oil, sage leaves, and salt and roast at 375 degrees F.
While the squash is cooking, it’s time to prep the rest of the ingredients. Cook your lasagna noodles, saute some fresh spinach, and mix together Farmer Cheese, shredded mozzarella, 1 egg, and fresh nutmeg. Both Farmer Cheese and mozzarella are very low lactose. If you are lactose tolerant, feel free to use regular ricotta cheese. 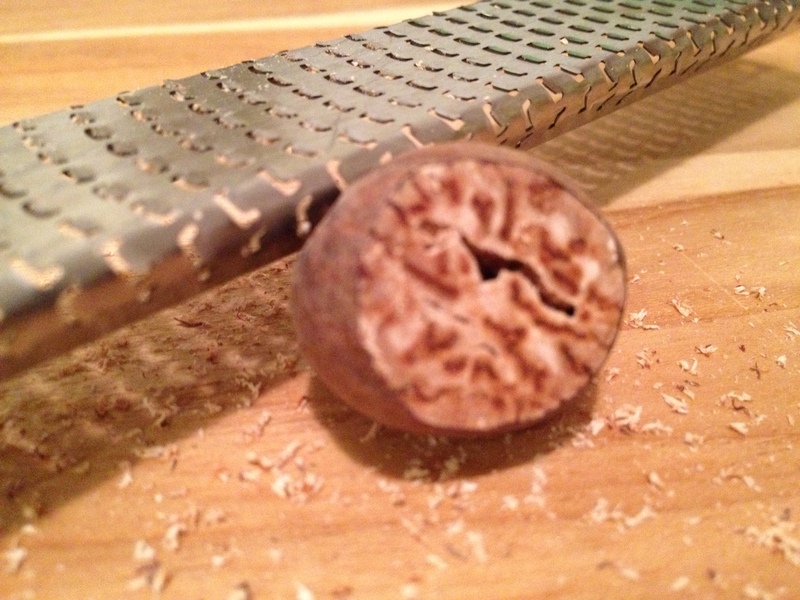 Have you ever cooked with fresh nutmeg? 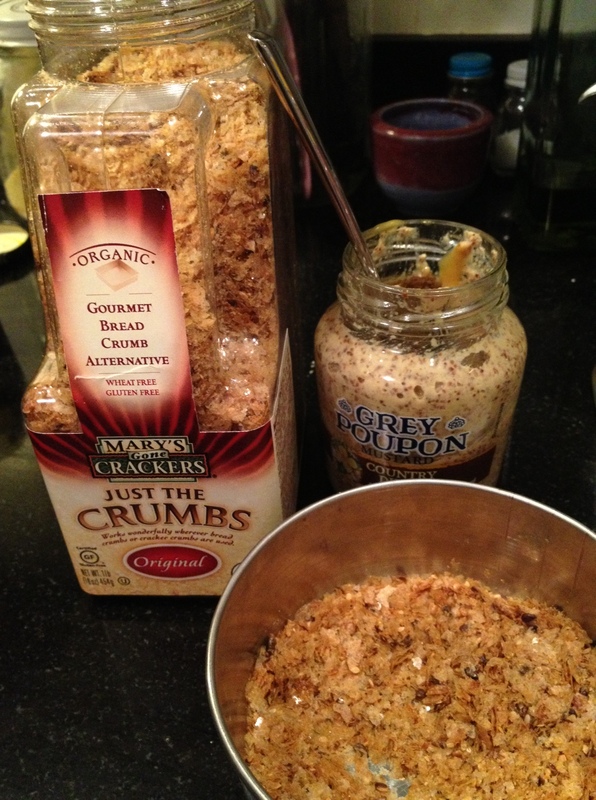 It’s easy to do if you have a small grater called a microplane and is much more fragrant than already ground nutmeg. 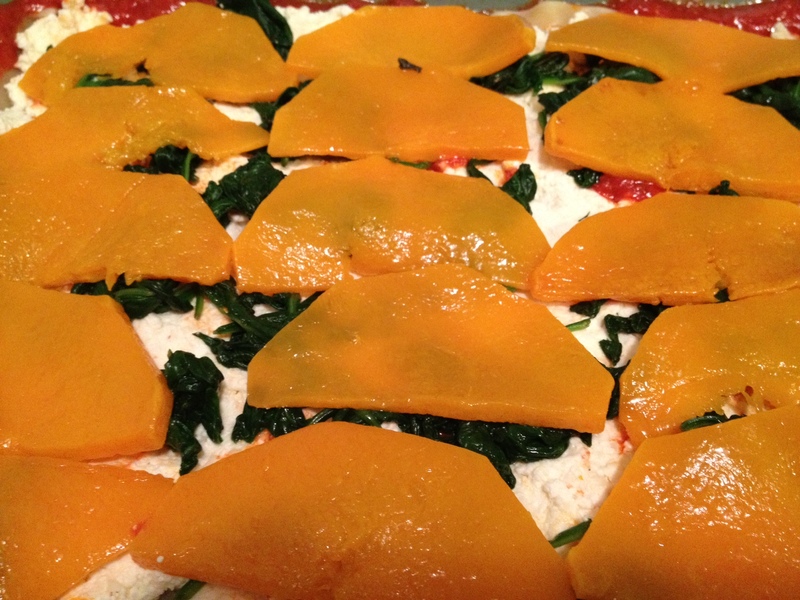 Once you have all of your ingredients: roasted squash, lasagna noodles, sauteed spinach, and cheese mixture, it’s time to assemble the lasagna. Cook the lasagna at 350 degrees F about 40 minutes until the cheese is brown and bubbling. 2. 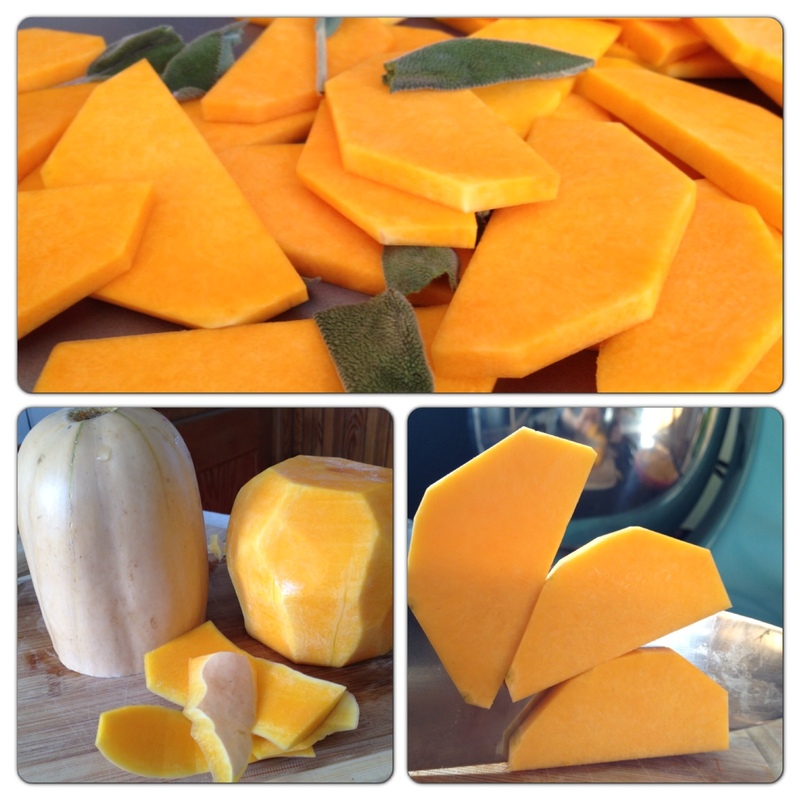 Cut the squash, scoop out the seeds, peel it, and cut into slices that are 1/8 inch thick. 3. Toss the squash with sage leaves, olive oil, and salt. Roast at 375 degrees F for 10 minutes, flip and roast for another 10 minutes or until soft. 4. While the squash is roasting, cook the lasagna noodles according to package directions. 5. Gently saute the spinach until just cooked through. Squeeze out as much water as you can. If using frozen spinach, defrost it and then squeeze out the water. 6. In a medium bowl, mix together the Farmer Cheese, mozzarella, egg, and nutmeg. Set aside. 8. On the bottom of a 9×13 baking dish, spread a thin layer of tomato sauce, then place 3 lasagna noodles over the sauce. Spread half of the cheese mixture over the noodles. You may have to use your hands to flatten out the mixture because it will be thick. 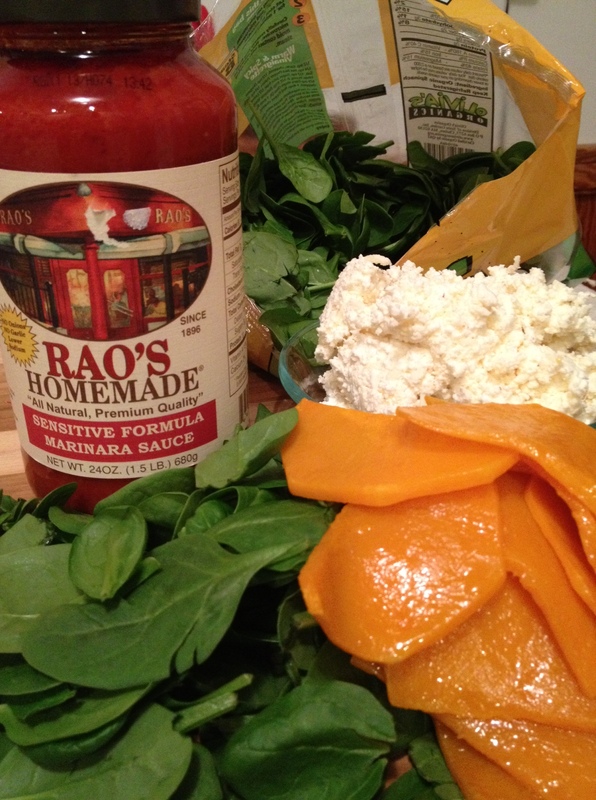 Next, evenly distribute half of the spinach over the cheese mixture, then half of the butternut squash, and then about 1/3 jar of sauce. Repeat this process so there is two layers of filling. For the top layer, place your last 3 lasagna noodles over the filling, cover with a thin layer of sauce, and sprinkle the reserved 1/2 cup of mozzarella cheese over the top. 9. Turn down the oven to 350 degrees F and bake for about 40 minutes until the cheese is brown and bubbling. I love making pancakes on weekend mornings. Today I decided to experiment with cottage cheese in my pancakes to bump up the protein content. 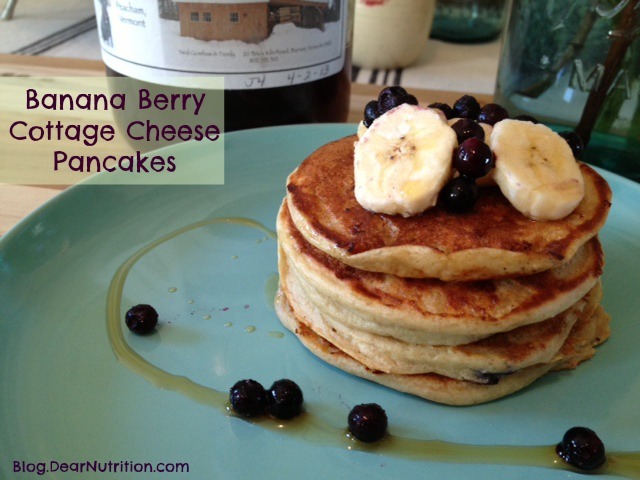 These pancakes also have a good amount of soluble fiber because they’re made with oat flour. 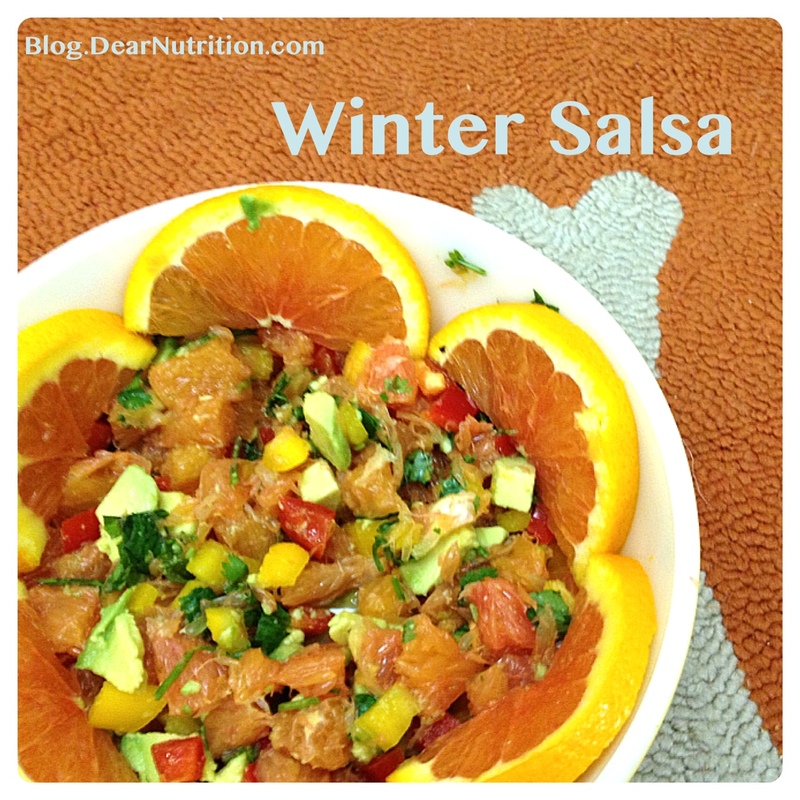 Soluble fiber is healthy for a few reasons. 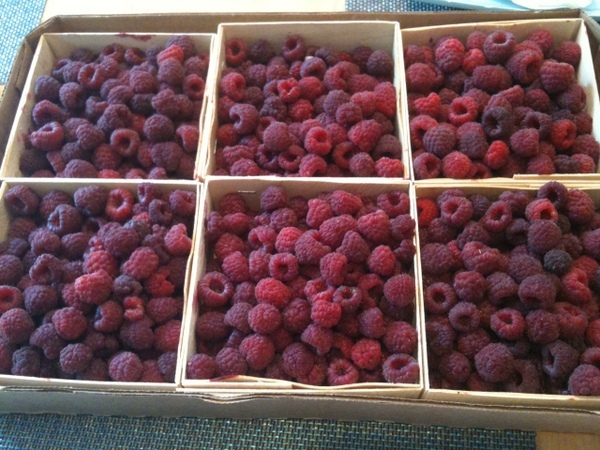 First, it can help lower cholesterol levels in the body. Second, it can help with…dare I say the D-word…diarrhea. Soluble fiber helps to form a gel in the intestines which absorbs extra water, helping to firm things up. 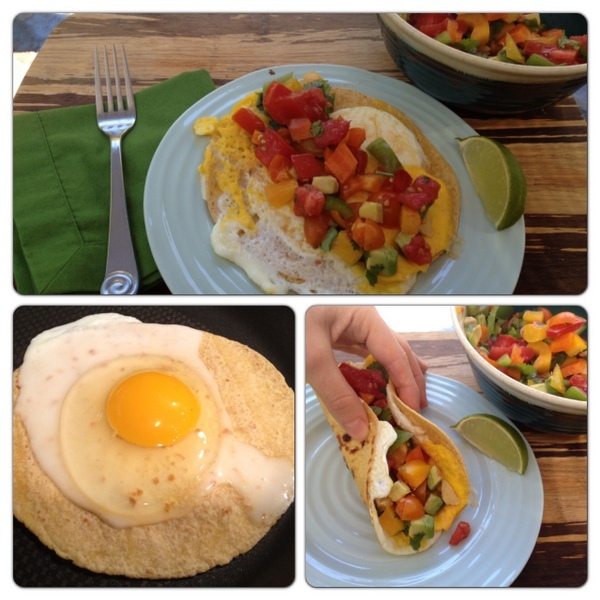 The fiber/protein combination in the pancakes will keep your belly full and happy. 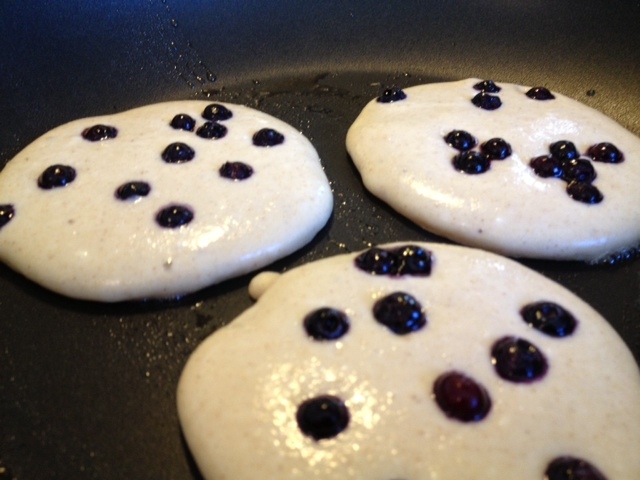 Pour batter onto a heated greased skillet and drop in some blueberries. I used frozen wild blueberries. Flip the pancakes when the batter starts to bubble and cook until golden brown. Serve the pancakes with blueberries, bananas, and maple syrup. My aunt and uncle gifted me with maple syrup from Black Pup Sugarmakers in Peacham, Vermont. I have to tell you that not all maple syrup is created equal. This one is thick and has a rich full flavor. Absolutely delicious. 1. 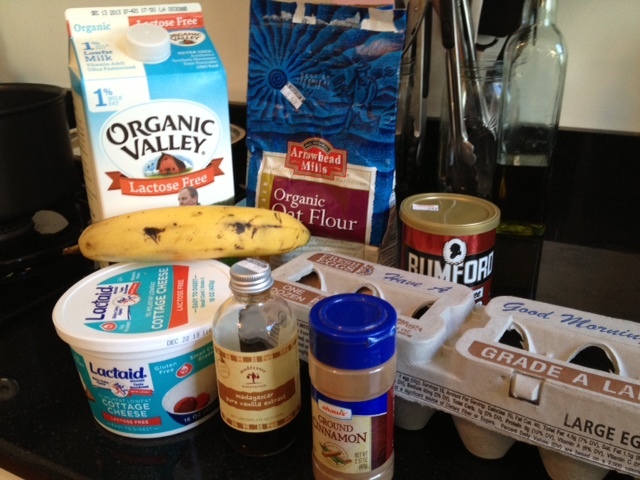 Combine cottage cheese, milk, vanilla, egg, and banana in a blender or immersion blender and blend until smooth. 3. 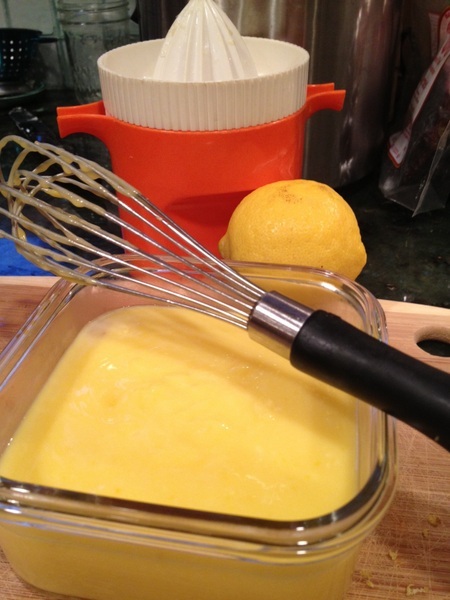 Pour batter onto a heated buttered skillet (medium heat) in 3-4 inch rounds. Sprinkle blueberries onto the batter. Flip pancakes when golden brown and cook until the opposite side is golden brown. 4. Serve with blueberries, sliced banana, and maple syrup. After about a month of technical difficulties with my blog, I am back up and running! 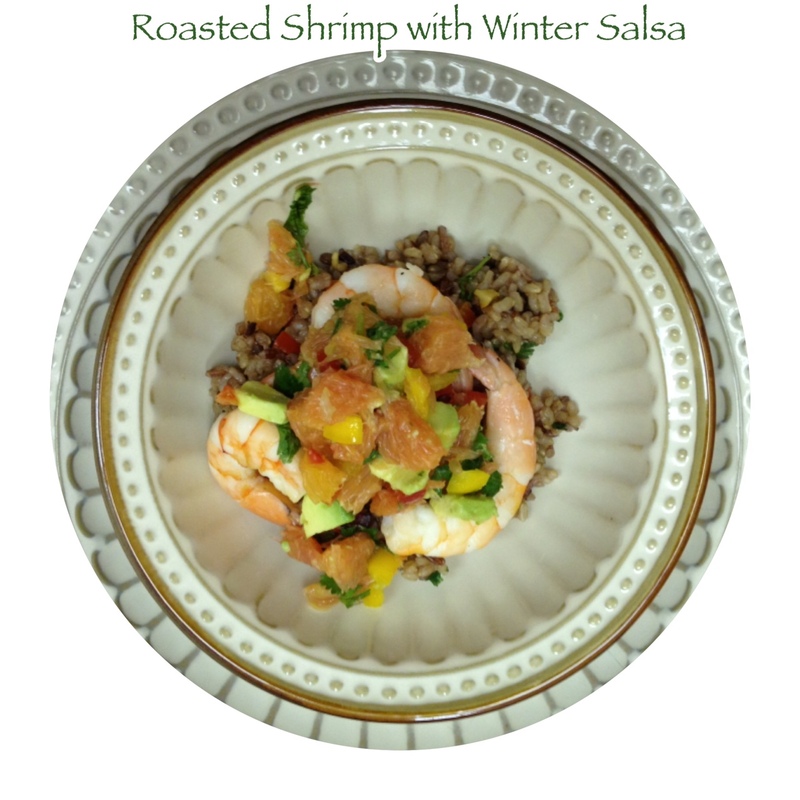 I will repost the recipes that were deleted and there will be more delicious ones to come. While I was out I have been busy starting my private practice. I now have offices in Medway and Boston, MA. I’m looking forward to helping people heal their GI tracts. In other exciting news, a FODMAP friendly certification was released in Australia. Click here to read about it. I look forward to the day when we have a certification like this in the United States!